Temporary Fence Components for Sale from Industry Leaders "GHLTempFence"
We also sell temporary pool fencing components. For details and prices, go to our temporary pool fencing page. One of if not the cheapest temporary fencing panels on the market. The panels only weigh 10kgs with their 1.0mm thick walled galvanised frame and they incorporate 2.5mm wire anti-climb welded mesh infill. Our very affordable and light Temporary Fencing Panels for sale are designed to be a cost effective option. They incorporate an anti-climb welded mesh infill with 1.5mm thick walled pipe galvanised. The key difference between our Heavy Duty Dura Temporary Fencing Panels for sale and other panels is they are designed for long life and regular use. 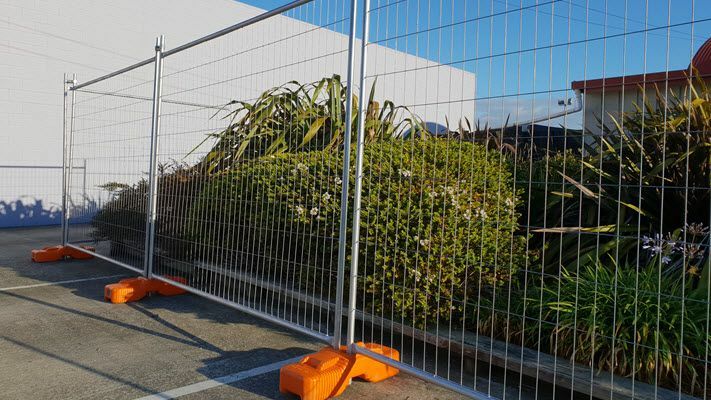 These panels are what we use in our own Temporary Fence Hire Business with there 2mm thick walled frame galvanised, to NZ Standard average of 42 microns and they incorporate an anti-climb welded mesh infill for added security and are fully galvanized for strength and longevity. In high wind areas, where shade cloth is installed or for additional stability by gates in a temporary Fence, our specifically designed Temporary Fence Brace will provide extra stability and maximum strength to the temp fence. Can take up to 3 block weighing in at 99kgs for maximum strengthening. 1.8m Total Height, Fully hot dipped Galvanised after manufacture, 2mm wall thickness, 12m thick base plate and now include a 10mm gusset plate for additional strength. High quality Temporary Fence Couplers used to fasten the panels together and the exact spec that we use ourselves in our own Hire Fleet. Temporary Fence Clamps and the quality of is really important for the durability of a Temporary Fence System as they are key to locking the system together and need to be strong enough to endure repeated use. Our Steel Fence Feet for Temporary Fencing are a high quality, heavy duty, long life product. They have been designed to be strong enough for repeated use with our Temporary Fence Panels and are substantially stronger than what’s typically being sold in NZ. High quality Temporary Fence Gate Hinges used to create Opening Gates and the exact spec that we use ourselves in our own Hire Fleet. Temporary Fence Hinges and the quality of is really important for the durability of a Temporary Fence System as they are key to creating opening Gates and need to be strong enough to endure repeated use. High quality Temporary Fence Gate Wheels used for Opening Gates and the exact spec that we use ourselves in our own Hire Fleet. Kit is complete with Wheel and Pipe to attach to a Standard Temporary Fence Panel that’s being used as a gate. After years of trying all kinds of methods to secure gate from Chains to Saddles we‘ve found the solution - Hot Dipped Galvanised Gate Keepers! Easily installed and secured to the gates with a clamp and a one piece unit that’s installed in minutes. 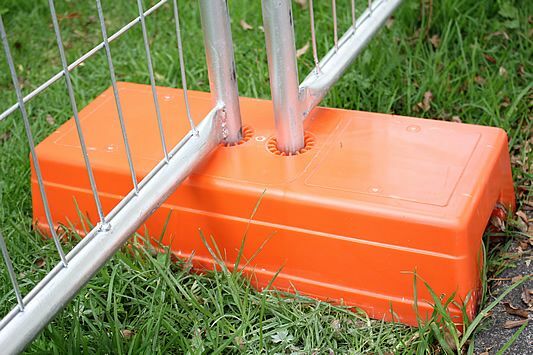 Height reduction bars, dog bars are used to reduce the gap under a Temporary Fence to less than 100mm to create an enclosure that ensures that small children or animals are safe and secure as Traditional Temporary Fencing has a gap under the Temporary Fence of 150mm which needs to be reduced in some applications. Very useful between parking and the site office separated by Temporary Fencing. Very versatile and can be placed almost anywhere along a temporary fence. Frame: 32mm O.D. & 2mm Wall Thickness Galvanized, to NZ standard average of 42 Microns. Suitable for: Temporary Fencing, Scaffolding & Greenhouse / Horticulture needs.